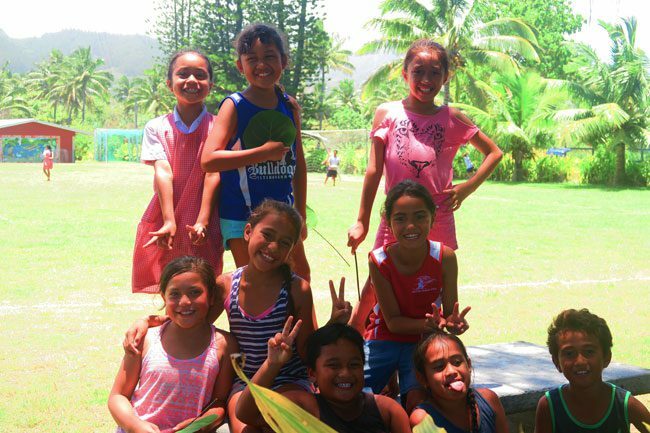 Anything and everything is possible on your visit to Rarotonga in the Cook Islands. 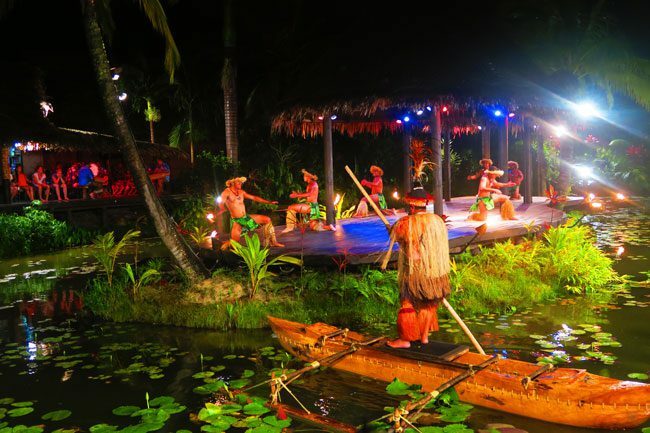 With a friendly Polynesian smile greeting you ‘kia orana’, an excellent tourist infrastructure and cheap vehicle hire – there’s simply no excuse for staying in your hotel room with so much action around you. 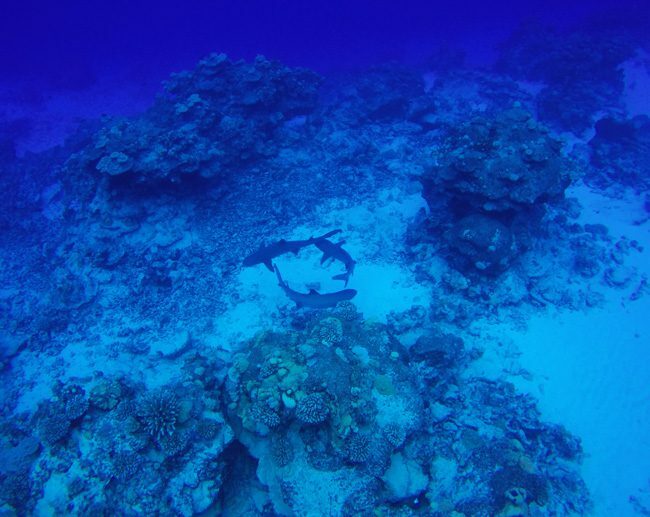 But then again, this is the South Pacific after all, so a good balance between activity and inactivity is totally understood. 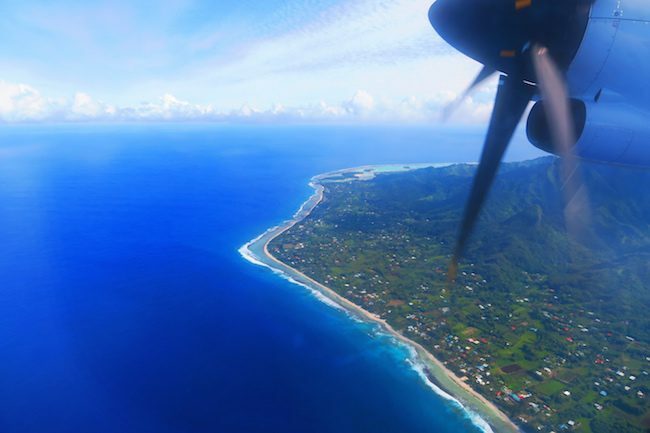 I spent nearly three weeks in Rarotonga while backpacking across the South Pacific Islands. 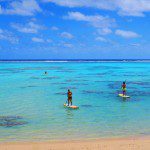 Here’s my list of the top things to do in Rarotonga. 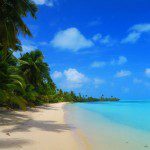 Traveling to the Cook Islands? 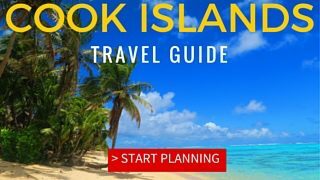 Here’s everything you need to know before planning your trip – including sample itineraries, exclusive discounts and lots of tips & tricks! 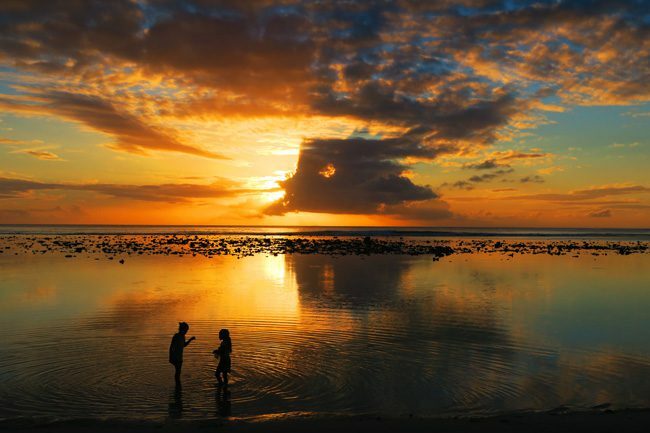 The sunsets I saw in Rarotonga were some of the prettiest I’ve ever witnessed. 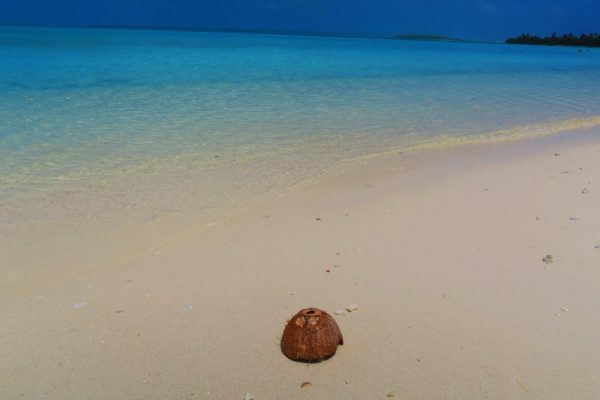 Head over to Aroa Beach or anywhere on the ‘sunset side’ of the island as the day draws to a close. 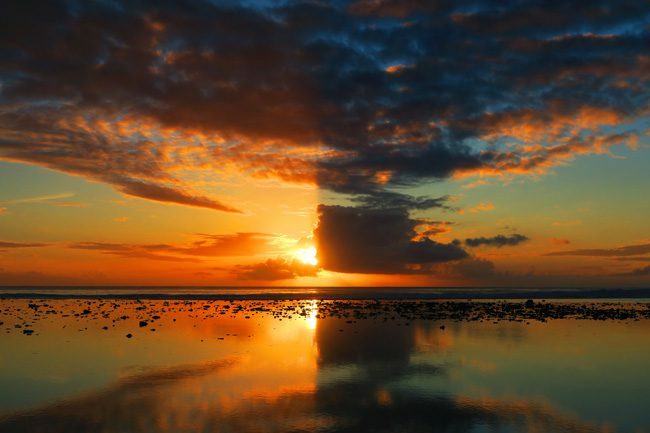 Surprisingly, you won’t find too many other sunset seekers around, and that might be perfectly fine. 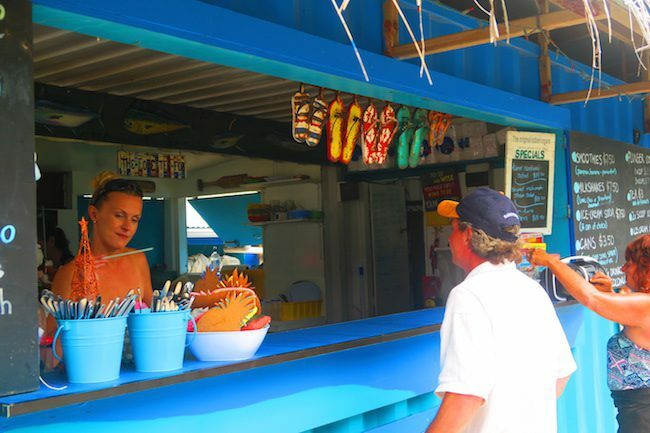 If you do want a bit of action to go along with your sunset, head over to the Shipwreck Hut, the best beach bar on the island. 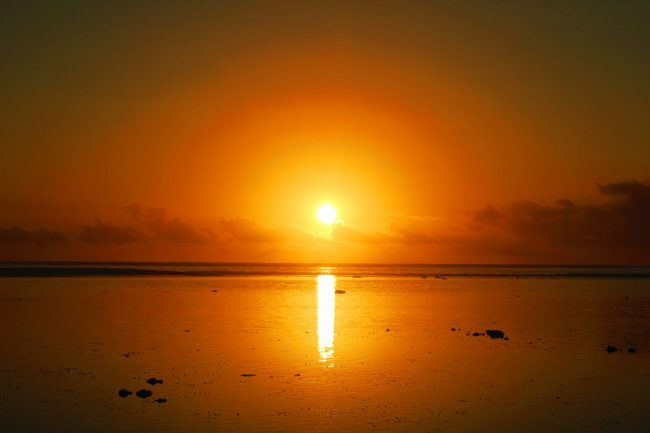 It’s a great spot to watch the sunset with a bottle of local Matutu Beer in your hand, and some live music to start your evening. 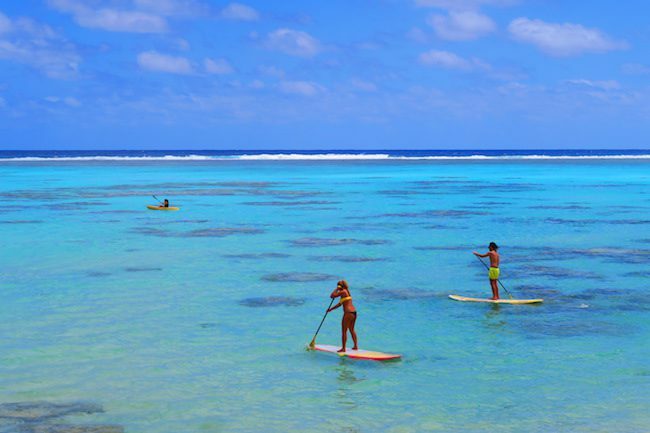 To work up a good appetite for tonight’s dinner, grab a paddle board, kayak or kitesurf and head into the warm waters of the Muri Lagoon. Generally calm, you might have to work extra hard to get back to your starting point – an exercise that should definitely be rewarded with a nice happy hour cocktail. 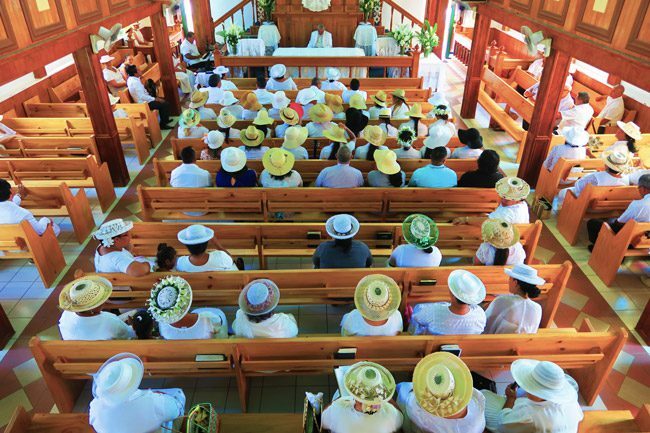 If you just happen to be in Rarotonga on a Sunday, don’t miss the opportunity to attend a local church service – whether you’re a believer or not. 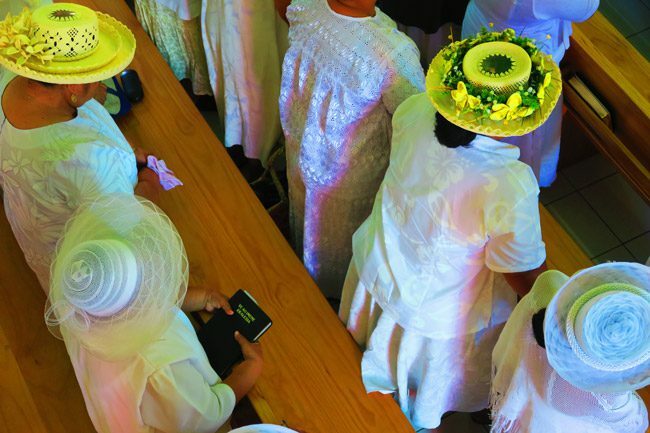 Follow the locals to any church, dressed in their Sunday finest, with women sporting hats that wouldn’t shame Queen Elizabeth. 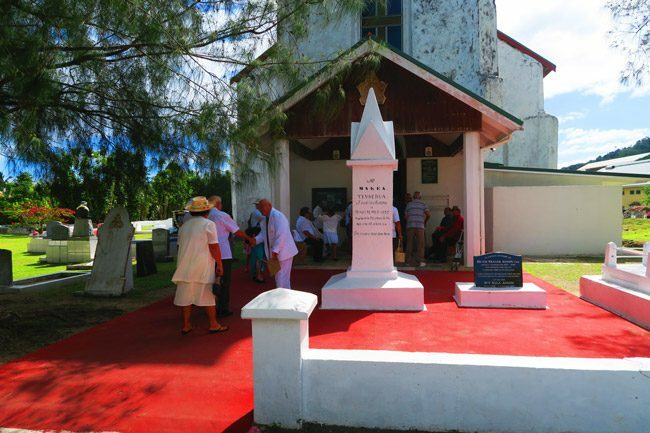 The best place for Sunday church service in Rarotonga is at the Avarua CICC. This Catholic church has been around since 1853, and if you stick around until the end, you might be invited for some coffee and biscuits. 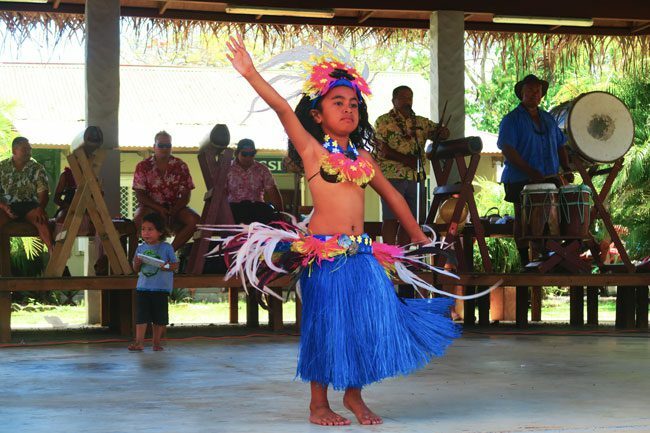 If Sundays are all about church, Saturday mornings in Rarotonga are all about the Punanga Nui Market – one of the South Pacific’s best markets. Wake up early, but not too early (you are on island time after all) and head to the market on a relatively empty stomach. 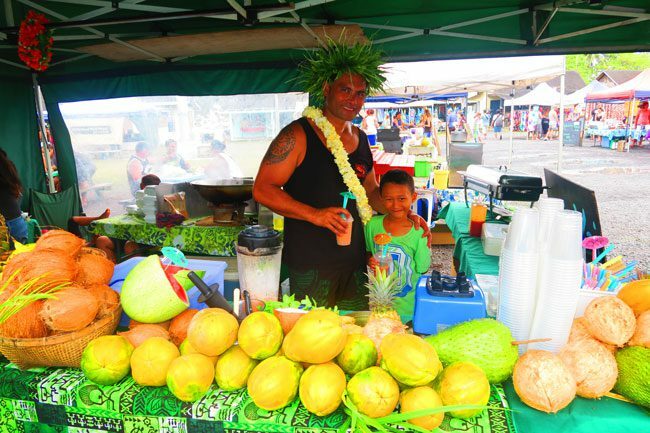 Wander from stall to stall sampling food and sipping on a large cup of freshly squeezed tropical punch, as the entertainment begins setting up on the main stage (always 5-10 Cook Island minutes from now). 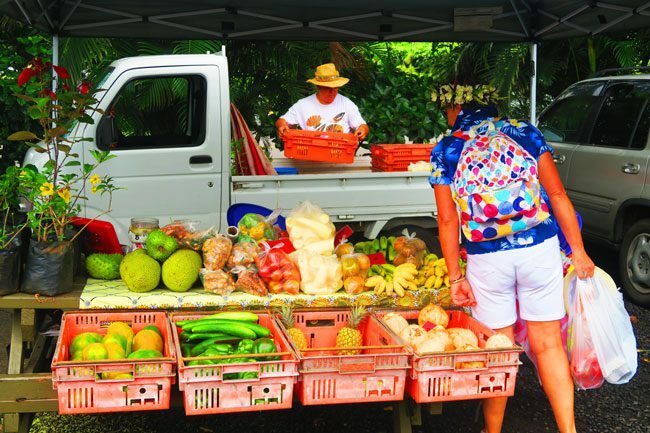 You can also shop for anything from black pearls to ukuleles, and fresh produce from around the island to keep you going for the next few days. 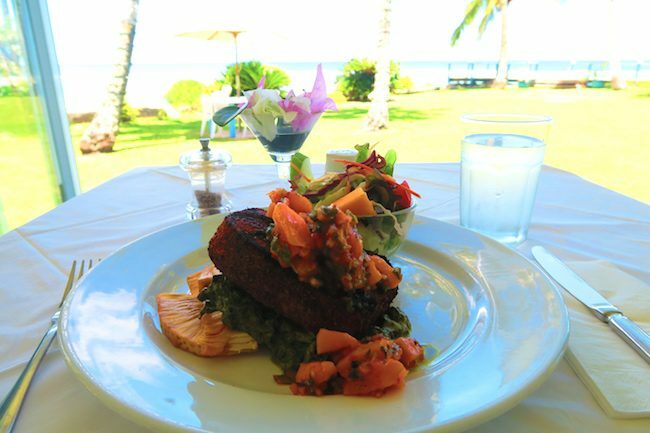 From a simple takeaway shack on the beach to gourmet restaurants in colonial style mansions – Rarotonga has quite a rich food scene. Visitors will have a tough time deciding who makes it into their culinary calendars, but you’ll somehow just ‘have to’ manage. My favorites were the Tahiti Cafe and the Mooring Fish Cafe for casual bites, and the Tamarind House for the food plus the atmosphere. Definitely the local way of getting around the island, tourists aren’t shy either about hopping on two wheels and heading out on a road trip. 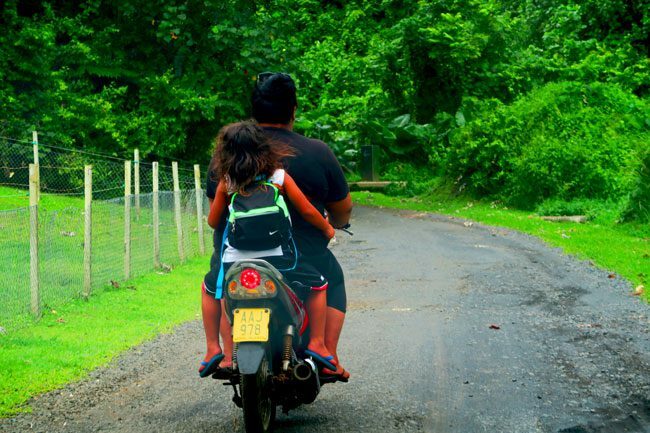 With only 32 kilometers of road hugging the island, it’s the ultimate way of achieving absolute freedom. Find your own beach for a few hours, stop for a fresh tropical smoothie, and watch out for planes taking off or landing just above your head. 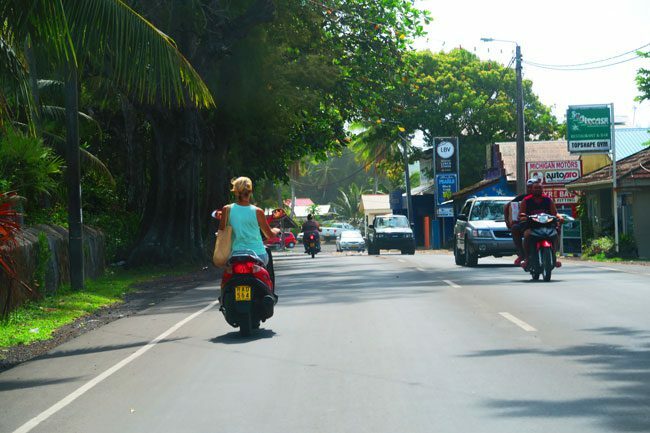 If you don’t have a scooter license, you can get one on the island, and rental prices will positively surprise you. 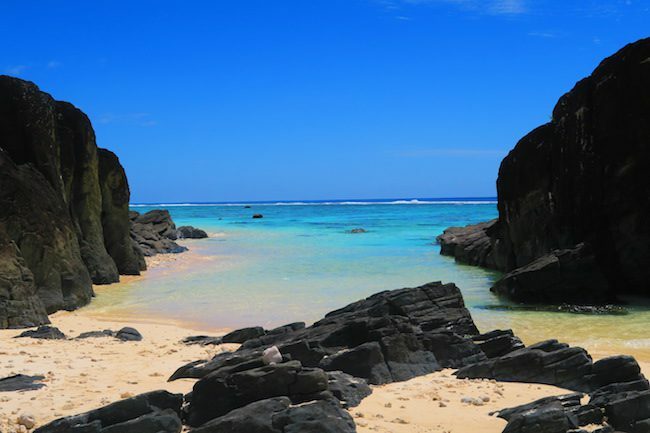 The Cross Island Track is the ultimate hike in Rarotonga, giving you the chance to experience the rugged uninhabited island interior. After a challenging climb, sometimes using the tree roots as steps, you’ll catch your first glimpse of ‘The Needle’. 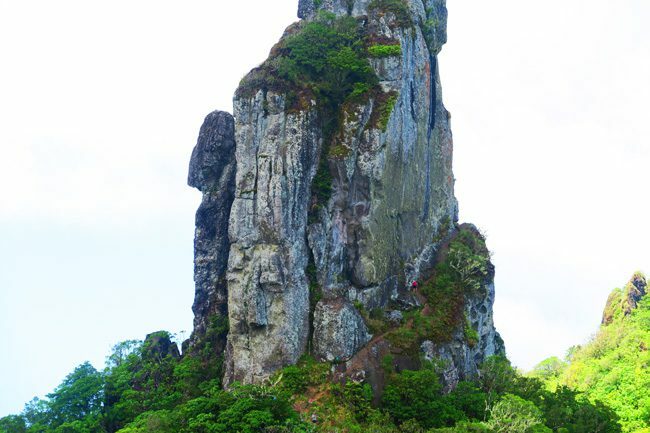 From a distance, hikers at the base of this towering cliff look more like tiny ants. Using a set of ropes and chains, you too will be rewarded with 360-degree views of the island. 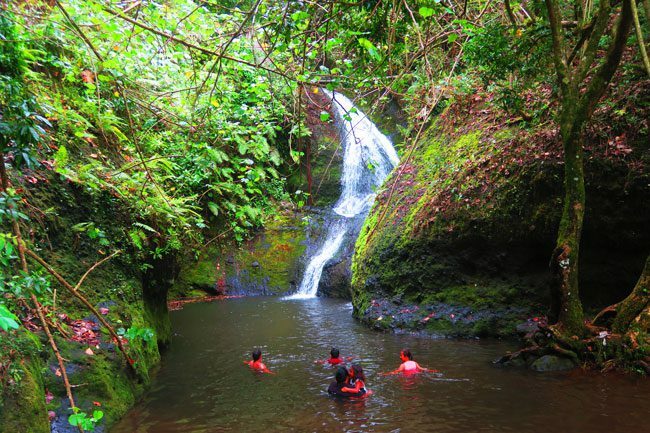 To finish the hike in style, head down to the island’s south side, dipping in the cool waters of Wigmore’s Waterfall. 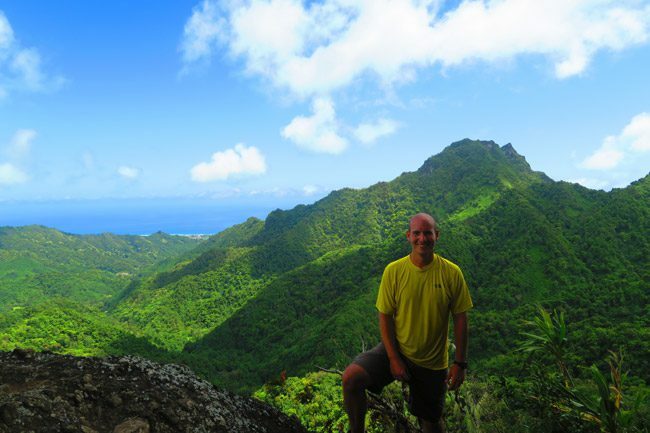 After this sweaty hike, it’s now time to somehow make it back to your vehicle on the… other side of the island. 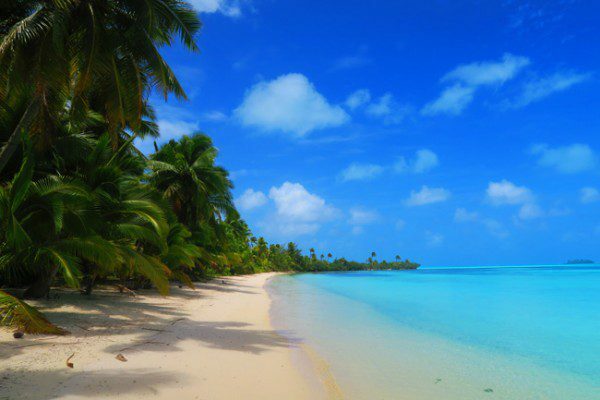 The scuba diving in the Cook Islands is among the best in the South Pacific. 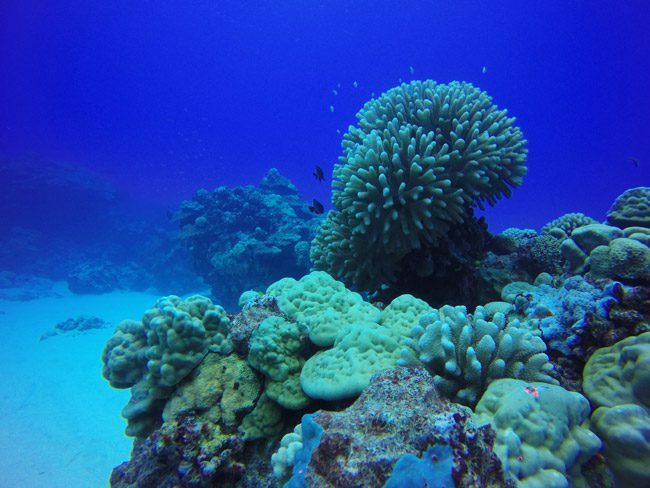 Book a spot with Patrick from Adventure Cook Islands and explore the underwater paradise. 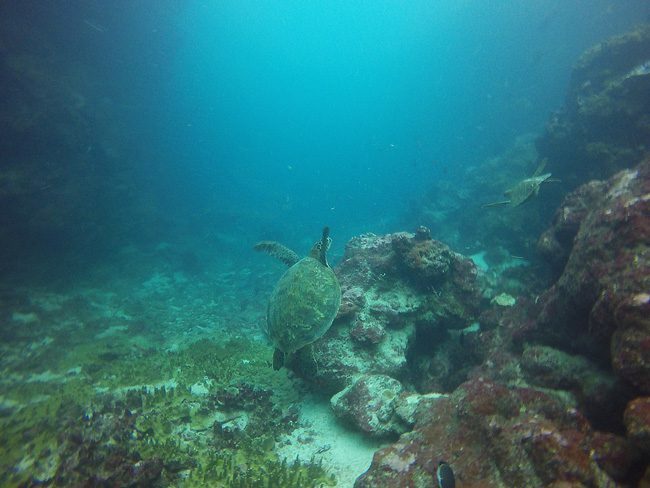 With excellent visibility and a healthy coral garden, you just have to be on the lookout for some curious reef sharks, hungry sea turtles and moray eel lurking out of nowhere. Thrill seekers can even crawl their way inside narrow lagoon channels, where lots of fish like to hang out and where surprises are everywhere. 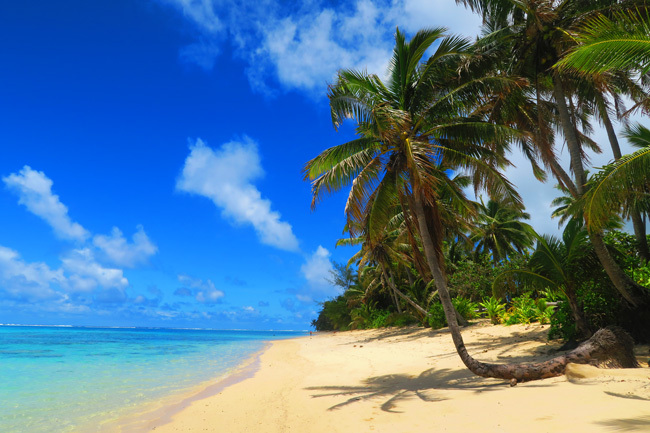 You’ll no doubt feel the urge to find that dream tropical beach you’ve been seeing in travel magazines. 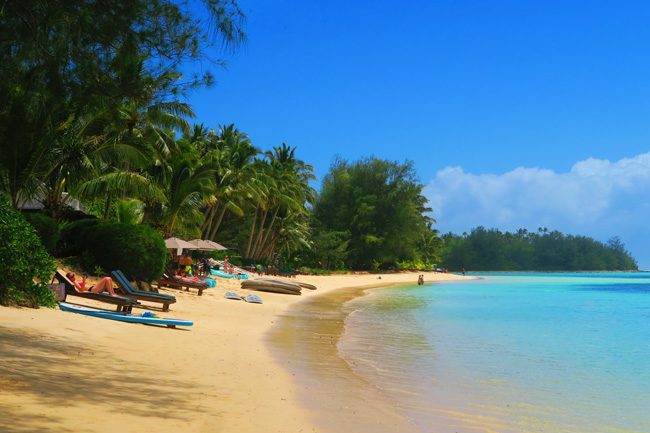 The good news is that there are plenty beautiful beaches in Rarotonga. 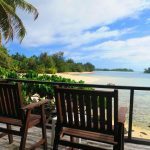 From magical Muri Beach to the soft sand of Titikaveka Beach – you really don’t need to look very far to escape to your very own paradise for a few hours. Here are some sights and sounds from this thrilling and filling island night! There you have it! 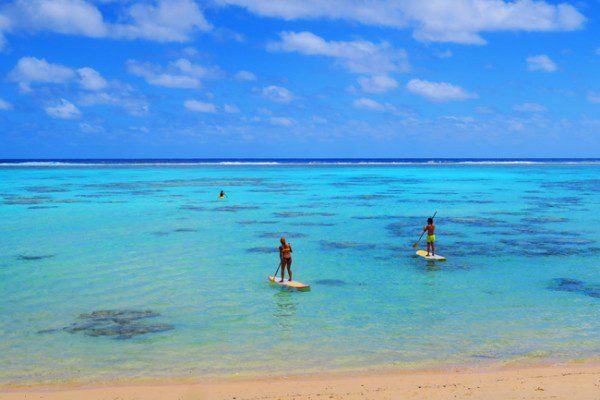 The top things to do in Rarotonga. 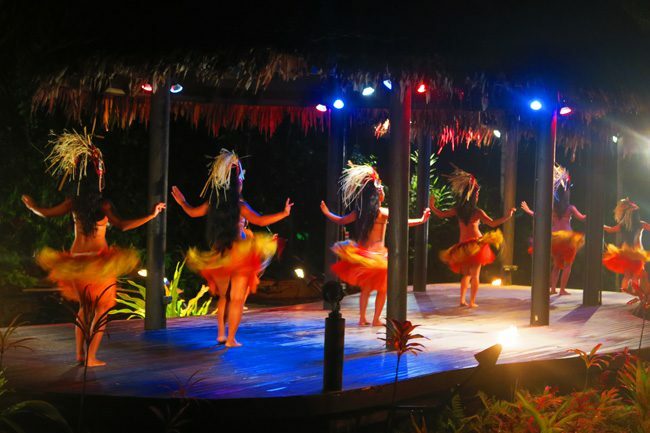 There’s plenty more to see and do in Rarotonga. 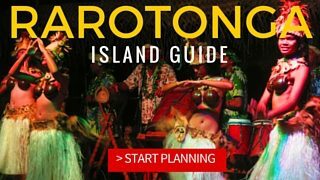 If you’re planning your holiday, be sure to read the Rarotonga Travel Guide, and the Cook Islands Travel Guide – your starting point for planning a trip to the Cook Islands. You’ll even find exclusive discounts for X Days In Y Readers. 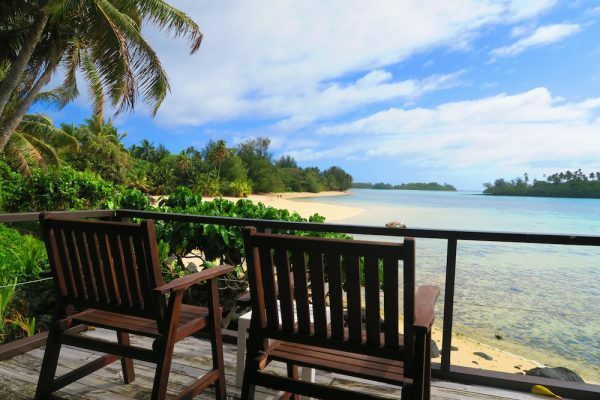 Have your own Rarotonga favorites? 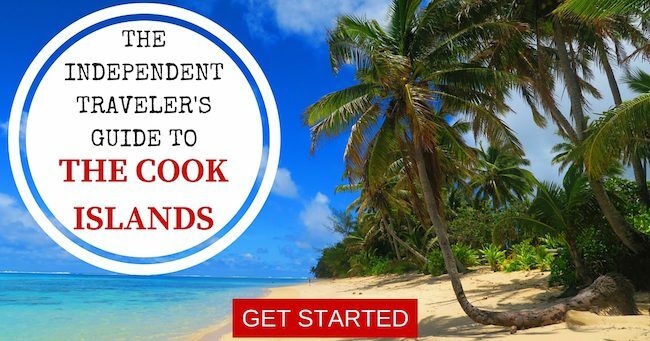 Leave a comment below and feel free to share your own tips!